What's Does Our Name Mean? In a nutshell? Hard work and discipline. The longer story is that “E7” is actually a nod that our founder extended to his father that was in the Army. During his time in the army, his dad managed to push himself up through the ranks and attain the rank of an E7 Platoon Sergeant. 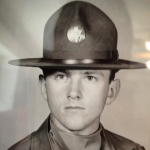 His MOS (Military Occupation Specialty) was actually Drill Instructor so he had an ability to instill hard work and discipline into his soldiers (and his sons). It may sound corny but the ability to increase rankings just had way too much in common with trying to increase our clients website rankings within the search engines. You combine that with a sound strategy and hold yourself to a disciplined approach to website marketing and the rankings should start to increase. So the common themes identified and the fact that our father wanted to give his dad some props (and try to make up for those terrible teen years) the name was decided. Are we creative? Absolutely but so are several other agencies. Do we execute to your bottom line and try to make every marketing dollar spent grow your business? Yes but there are a few other agencies out there that can likely do the same. Are there other digital marketing companies out there that will work harder than us? Absolutely not. We bust our tails every day to make sure we live up to our name. 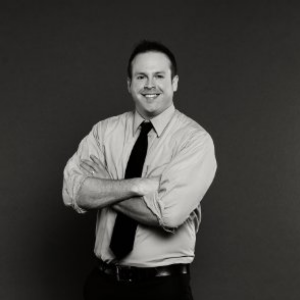 Eric Bridges founded E7 Cyber with the hopes of filling a niche he saw many marketing agencies missing. When you speak to full-service agencies, they will often speak to how they’re experts in all marketing mediums but you will quickly realize that they’re more “jack of all trades, master of none”. We wanted to buck that trend and capitalize our marketing services on what we know best: digital marketing. Everything online that we can execute (SEO, PPC, Content Marketing, Social, Affiliate, Conversion Optimization, etc.) all stems from the belief that we only work on the things we already know. When you talk to us, you talk to directly to the expert that will handle your campaign. There is no sales person making promises they have zero clue about. There are no client service people placing a barrier between the client and expert. There are only digital marketing experts at E7 because that is what we do best. Read More About Our Proprietary Linkbuilding!